Yangon fun guide and nightlife tips, with a Yangon business hotels review, by Dominique Mosbergen, Smart Travel Asia, SmartTravelAsia.com and Dancing Wolf Media. Pagodas, palate ticklers, our pick of Yangon business hotels, and pink faces in dark nightclubs. A Yangon fun guide for adventurers and incurable romantics. THE shimmering gold Shwedagon Pagoda presides over the colonial buildings that dot Yangon, much like an immense, brooding, guardian angel, stately and quiet, yet powerful, its mere presence enough to pacify the populace. The city, which has retained its sleepy joie de vivre in the face of uproarious construction and development in the region, is stirring to some semblance of wakefulness. Change is in the air. One whiff of Yangon, and you realise you’re in a town in the throes of deep transition. Shwedagon has its work cut out. Once called Rangoon, a name redolent of the monsoon, pagodas, palms and colonial colonnades, the military evicted Kipling and Burma became Myanmar as Rangoon transitioned to Yangon. To be fair, the name Yangon (meaning “end of strife”) was given to the city (then a small settlement called Dagon) by founder King Alaungpaya back in 1755. This was anglicised as Rangoon by the British. The city slipped modestly down the bureaucratic ladder in 2006 when the junta moved the capital to somewhat isolated Naypyidaw, now completely built ground up, about 300km north. After nearly half a century of military rule, Myanmar has had a whiff of democracy and the attendant tumult and student protests. April 2012 brought landmark elections, with Nobel Peace Prize recipient Daw Aung San Suu Kyi of the National League for Democracy – formerly under house arrest – voted to parliament. More open relations with the West have followed along with closer ties with traditional partner Asean. All this has piqued the interest of muscle multinationals like Coca-Cola that set up shop in Myanmar in 2013. Travellers sense the buzz. According to the Ministry of Tourism, the country welcomed over two million tourists in 2013. That’s more than double the 800,000 tourists who visited in 2011. Visa restrictions and pinched air capacity mean that arrivals have not quite boomed but they are set to grow rapidly. And some big names are sniffing out possibilities here to compete with the more established Yangon business hotels. The sea change in Yangon can be observed in ways both big and small. Take mobile phones, for instance. According to Gino Joseph, the entertaining Australian tour guide who founded Free Yangon Walks (www.freeyangonwalks.com), the informative – and gratis – walking tour through downtown Yangon, SIM cards in the city used to cost a whopping US$2,000 each. And that was just in 2009. As of April 2015, a SIM card could be bought for US$4 or $5. With these political and socioeconomic ripples underfoot, some younger Burmese people who have lived or grown up abroad are returning home; while an increasing number of expats are coming to work and live in the country. Catering to this growing demographic of foreign tastes, the city is now home to a burgeoning array of trendy new restaurants and bars that will delight even the most discerning of visitors. Yet, this is a city from the 1940s, pickled in aspic. Many of the official and commercial buildings of the downtown central district by the Yangon River are colonial period structures largely untouched. They have a certain delicacy of design and unity of grungy stucco. They complement each other and their particular surroundings. As a period waterfront phenomenon, they knock the spots off the bulbous town hall pomposity of the Shanghai Bund. Several are earmarked for development now as Yangon business hotels, office blocks and apartments. 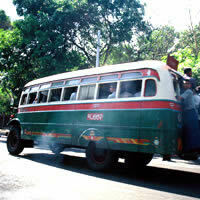 As any Yangon guide will tell you, there is a more notable vigour in the city than there was 30 years ago. There are more cars on the road, though few of them are less than a decade old. Taxis are all over. Buses are now running that cannot remember the war, although those that can are still grunting around carrying passengers on their rear fenders. Trishaws, sadly, are scarcer. New buildings are going up. Their architects will not be mentioned in the same breath as IM Pei or Norman Foster, but there are dozens of tall construction cranes on Yangon’s very low skyline. There’s little to do beyond eating well, drinking copiously (alcohol remains inexpensive, even in the fanciest of bars and restaurants), and shopping occasionally. Other than the snap-a-minute colonial architecture, the aforementioned Shwedagon Pagoda, and the pretty Kandawgyi Lake, Yangon is not awash with sights on anyone’s to-do list. 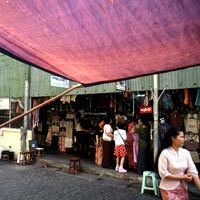 Still, the city tosses up fine gems for those willing to take the time to explore it, and the Burmese people – most so willing to help though rarely imposing – will surely make any visit to Yangon, or Myanmar in general, memorable. To handle the fresh influx of tourists, several schemes are afoot. The government announced plans to develop a huge hotel zone at Inle Lake as well as a new airport, Hanthawaddy International Airport, 80km away from Yangon and expected to be operational by December 2019 with a capacity of 12 million passengers annually. Originally overseen by a consortium led by Incheon Airport the project later moved to a Singapore-led group with Changi Airport involvement. There are daily direct flights from several major cities in Asia, including Singapore, Kuala Lumpur, Bangkok, Seoul, Tokyo and Hong Kong. Several international airlines, including Korean Air, Malaysia Airlines, Singapore Airlines and ANA, serve Yangon International Airport, which upgraded its terminal in 2007. Several budget airlines, including Air Asia, Tiger Air, and Jetstar, also offer flights to and from the Burmese city; as does Myanmar Airways International (MAI, www.maiair.com), a part government, part privately-owned operation that runs services into Yangon from Bangkok, Singapore, Guangzhou and Kuala Lumpur. For domestic air travel, Air Bagan (www.airbagan.com) operates an intricate domestic network, flying to Yangon, Mandalay, Nyaung-U (Bagan) and several other cities. Several international airlines, including Bangkok Airways, SilkAir and Qatar Airways, also fly to Mandalay via Bangkok or Yangon. Yangon International Airport sits in pastureland about 30 minutes out of the city centre (Hanthawaddy International Airport will be a while yet). On 1 June, 2012, the government reinstated the visa-on-arrival programme for business travellers for US$50. You, however, will need a fair number of documents and passport photographs. Please ensure you have everything on hand so as to avoid unnecessary headaches upon arrival. If you’re a tourist, you can acquire a visa surprisingly fast from a Myanmar consulate, or for US$50, get a visa online (evisa.moip.gov.mm). The turnover is a quick one or two business days. A tourist visa allows a stay of 28 days, extendable for an additional two weeks. A business visa allows a stay of 10 weeks, extendable for up to 12 months. There seems to be no requirement now to purchase US$200 of Foreign Exchange Certificates at the airport. This cumbersome interloper, after the old Chinese model, seems to have disappeared. We are now down to two real currencies, the local kyat (pronounced “chat”) and the US dollar. The kyat is divided into 100 pyas. On paper (and outside Myanmar) the official exchange rate tends to fluctuate between US$1 = 900 to 1,050 kyat, but this rate is not typically adhered to. Most places, including five-star hotels, will offer an “unofficial” rate of US$1 = 1,000 kyat. It’s recommended to carry a judicious mixture of kyat and US dollars in your wallet, but keep in mind that while the kyat you use may be appallingly grubby and decrepit, the US dollar bills you have must be absolutely spotless. Even banks are reluctant to take notes with any mark or tear. The people in Myanmar are dead serious about getting crisp and clean US dollar bills. There is no getting around this. Most substantial establishments like hotels and transport agencies take US dollars and more modest operations do so too (you, however, will likely get change in kyat). Credit cards are accepted at most hotels, and at higher-end restaurants that cater to expats and tourists. ATM machines that accept international cards – an entirely new phenomenon – can now also be found scattered modestly around the city. It’s still probably best, however, to have enough cash on hand. If you do not have a pick-up arrangement with your hotel, a taxi from the airport for the 30-minute drive downtown should cost between US$8 and US$10 depending on negotiation and the presence of air-con (taxi drivers will sometimes negotiate a US$1 increase in price for a cooler ride). For a slightly higher price but the least amount of hassle, get a cab from the taxi stand at the airport, located immediately to your left as you step out of the departure hall. You will be offered a fixed rate and there is no need to haggle. If you do choose to grab your own cab, however, remember one important bargaining rule. Taxi drivers and the sellers of roadside or market wares in Myanmar do expect some amount of bargaining, but they won’t appreciate aggressive tactics. Instead, always smile, and don’t expect a massive price cut. If offered a price that seems too high, the best bet is to walk away and try somewhere else. There will likely be nowhere you’ll want to go in Yangon that is more than a 15 minute drive (sans traffic) from anywhere. Most travellers will likely rely on taxis, which are easily flagged down on the street at almost any time of day, but exploring some of the city on foot is possible as well. You might see Yangon as being divided into roughly three segments. To the south is the gridwork layout of the old centre by the river. A little to the north is a “midtown” around the Kandawgyi Lake and the Shwedagon Pagoda, which is, above all, the must-see masterpiece of Yangon. A little farther north is the semi-suburban recreational area around the larger Inya Lake. A fairly standard rate for a short taxi trip is US$2-$3. From the Shwedagon down to the river it would be US$3 and from the river up to Inya Lake US$4-$5. Car hire with driver (not a hotel limo) should be between US$35 to US$50 for a 10-hour day. The more days you hire for, the more negotiable this becomes. A knowledgeable driver, possibly recommended by a hotel, could be well-worth his weight in kyat. Most hotels are so flexible on price (which includes, on average, 10 percent tax and five percent service charge) that they are almost reluctant to acknowledge a standard rate. Expect a ballpark figure of US$150-$250 for a standard room at a four-star and around US$250-$450 for a five-star or luxury hotel. Discounts can be upwards of 50 percent, especially during the wet season. Even The Strand on Strand Road, by the waterfront, the elite period doyenne of the Yangon hotel scene, offers 20 to 30 percent discounts between April and September. Arguably the best luxury option that the Burmese city has to offer, The Strand was opened in 1901 by the famed Armenian hoteliers, the Sarkies brothers, who also established Singapore’s legendary Raffles Hotel. In the early 1990s, The Strand was beautifully renovated to evoke its life in the early 20th century. The building offers an atrium with two wings focused on a lobby lounge with a black and white marble floor with teak inlay. Other floors are teak wood throughout. The suites, bathed in natural light, are suitably vast with vintage furniture, ceiling fans, fine bathrooms and complimentary Wi-Fi. Unfortunately, the hotel does not have a fitness centre, but it does offer spa services, and excellent food and beverage options. There is a long bar where you can get a beer for three bucks (on Friday nights, the bar boasts an excellent Happy Hour during which drinks are all 50 percent off); there’s The Strand Café, which looks onto street life and serves a mean breakfast, and the strikingly elegant Strand Grill, the prince of dining rooms in Yangon with black and gold Bagan prints, chandeliers and a vaulted glass roof. Whisperingly quiet butlers materialise so rapidly every time you go in or out you might as well just let them keep the room key. The rich and the famous have flocked to The Strand for the service. You really do expect to see Somerset Maugham being ushered into the lobby followed by his book bag. Even if you don’t end up staying at The Strand, the hotel is a must-see. Afternoon tea at the hotel is a Yangon institution, or enjoy a Strand Sling (a rum and lime juice concoction) at The Strand Bar. 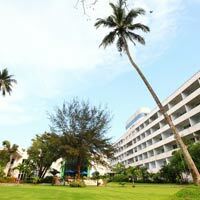 Use this address as a Yangon business hotels choice or, better, as a splendid leisure retreat. The 21st century’s offer to the business traveller in Yangon is the big and bustling Sule Shangri-La Yangon (rebranded from Traders Hotel in April 2014), located slap in the commercial centre on the corner of Sule Pagoda and Bogyoke Aung San Roads. Long a traveller favourite, the hotel now boasts extra Shangri-La muscle and polish after a two-year, USD$14 million refit. This is one of the largest and best Yangon business hotels with 479 guestrooms in one of the tallest buildings in the city. Located on the 21st floor of the hotel, the expanded Horizon Club lounge boasts 490sq m of pampering space (including two meeting rooms) and splendid wrap-around views of the city – and the glittering Shwedagon Pagoda – below. Horizon Club floor rooms run from the 18th to 22nd with complimentary breakfasts and late afternoon canapes, suit pressing and in-room beverages and snacks. Regular rooms in the Sule Shangri-La serve up large windows welcoming of light, flat-screen televisions, and complimentary WiFi. The top floor of the hotel hosts three dark-wood old-world suites, including the grand Presidential Suite, ranging from 126sq m to 189sq m. Expect rich fabrics, carefully chosen artefacts, and commodious bathrooms with a soaking tub and rainforest shower. The hotel’s Myanmar Ballroom can handle up to 480 persons with the latest in hi-tech for small corporate meetings or larger conference and MICE events. Apres-work, think health club with one of the most modern gyms in the city (the hotel also offers yoga classes twice a week), spa, nail and hair salon services, and a range of food and beverage options (including Chinese cuisine and the inviting Gallery Bar). Just north of the city centre on Alana Pya Phaya Road is the fairly classy PARKROYAL Yangon (formerly Grand Plaza Park Royal). With its imposing facade and marble lobby, the 342-room hotel puts on a front as posh as its title. 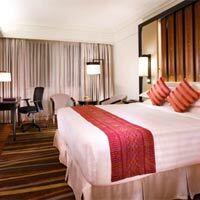 A deluxe room goes from US$170 upwards. The floors are teakwood, the furnishing is tasteful, the size is generous and there is a lot of natural light. Orchid Club rooms have private keyed access and a very elegant lounge with complimentary snacks and beverages. The hotel boasts a large outdoor pool, a tennis court, a gym and spa services. It’s also home to a decent brasserie, Japanese and Chinese restaurants, and a clubby bar. 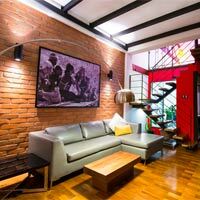 Just steps from the PARKROYAL is the trendy new The Loft Hotel on Yaw Min Gyi street, a 32-room boutique offering. Minimally furnished with exposed brick walls, pops of bright colour, and other modern touches, The Loft has 32 rooms, including several lofted suites. The rooms come with free Wi-Fi and complimentary breakfast. Mid 2015 this was a work in progress with no restaurant but a gastropub in the pipeline. Without many facilities, the hotel’s standard rooms (which start at US$160) are probably not worth the extra greens. The 58sq ft Duplex Suite (which costs around US$100 more) is far more impressive, boasting a separate living room, en suite Japanese garden and outdoor terrace space. Another Yangon boutique hotel choice is the Belmond Governor’s Residence, located rather off the main drag in the embassy quarter on Taw Win road. Managed by the UK-based Belmond (formerly Orient Express), the romantic hotel is a restored teakwood colonial residence decorated with fretwork and bounded by wooden decks, which overlook a sapphire blue pool and an orchid garden. 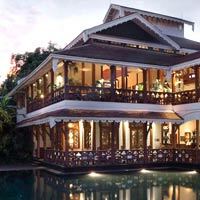 In the house are a highly rated French restaurant, The Mandalay, an inevitable Kipling bar, a lounge and spa. There are 45 guestrooms and two junior suites, with teakwood floors, sofas inset into windows with wood slat blinds and big bathrooms with kidney-shaped black stone bathtubs with Jacuzzi nozzles. Broadband is free. North of the centre in midtown is the 208-room Kandawgyi Palace Hotel on the shores of Kandawgyi Lake, Yangon’s little gem of water and peace near the heart of town. 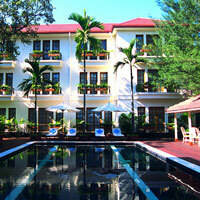 The Kandawgyi Palace is either a resort hotel in the city or a city hotel with resort facilities. Other than its rather ostentatious lobby, it’s a beautiful, spacious and tranquil hotel ensconced in greenery. Trees in the garden date back more than 100 years. The hotel has considerable variety under its roof. A standard room starts at around US$160. At the top of the range is the exotic Royal Bungalow, with a petal-strewn Jacuzzi at the bottom of the bed and an infinity swimming pool on its private terrace that seems to merge with the lake. 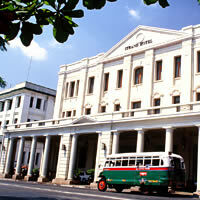 The hotel has a colonial wing, which includes a period theatre for nightly dinner and culture shows. Mainly though, the theme is wood and in a local design, with a heavy Thai influence. A wooden viewing pavilion atop the building attached to the Presidential suite. There is an elaborate swimming pool by the lake, lakeside terraces, restaurants and bars as well as extensive business facilities. The hotel is also home to the very urbane, lakeside French restaurant, Agnes, which offers diners views of the Shwedagon Pagoda. Also on the lake is the 303-room Chatrium Hotel Royal Lake Yangon (formerly Hotel Nikko Royal Lake Yangon) on Natmauk Road. The lobby is encouragingly bright and calm. Cuisine concentrates on Japanese and Chinese, reflecting the bulk of its business clientele. It has extensive conference facilities with a ballroom and four meeting rooms. The hotel also has a fitness centre, a pool and 14 spa suites for weary worker bees wanting to end the day on a high note. The refurbished 40sq m standard rooms are quite spacious, featuring walk-in showers, coffee and tea facilities as well as free WiFi. This is among the better Yangon business hotels to keep in mind. Northwest of Kandawgyi Lake, at the junction of the busy Dhammazedi and the fashionable Inya roads stands The Savoy, one of the most successful small Yangon luxury addresses. Located a five-minute drive away from Shwedagon Pagoda, the hotel is the converted home of a colonial doctor. Dedicated to Kipling (the main fine dining restaurant is named after the British writer), the hotel is German managed and largely patronised by a faithful German clientele. 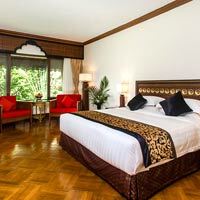 There are only 24 deluxe rooms and six spacious suites, simply but tastefully decorated with classic Burmese teak wood furniture. The bathrooms offer inviting stretch space too. The rooms all have a very residential feel. Room service is 24 hours and you can get your clothes pressed for free. There are only two floors and no lifts, but the hotel still manages to squeeze in an impressive variety of dining locations, from a European restaurant upstairs to the alfresco Kipling’s Restaurant downstairs. There is a cosy bar and a 14m swimming pool with sun deck. Massage and beauty treatments are available. A green and shaded retreat from the city, The Savoy remains one of the best Yangon heritage hotels and is versatile enough to manage most needs, business or pleasure. This is one to watch in our Yangon fun guide for nostalgia buffs seeking a hint of colonial splendour with mod-cons and attentive service. For suits there's a business centre, Wi-Fi and space for small corporate meetings of up to 150 persons. Farther north of the city and located fairly close to the airport, travellers will find another cluster of hotels near another of the city’s lakes – Inya Lake. South of the lake and sitting atop what passes for a hill in Yangon with a moving view of the Shwedagon Pagoda in the sunset stands the Mya Yeik Nyo Royal Hotel. Overall a relatively uninspired hotel, it suffers from an interesting schizophrenia. 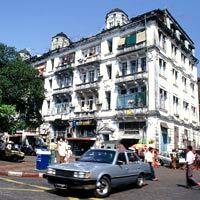 The original hotel building is pre-war colonial and was once the residence of the general manager of the Standard Chartered Bank – and the commander of the Japanese occupying forces. Everything in there is still wood-fitted and period. The seven guestrooms in this building are vast with very high ceilings and littered with odd bits of furniture like Burmese dressing screens and antique dressing tables. There is a billiard room and a display of Burmese artefacts in the entrance hall. On the other hand, the new, main building has very little to say to the old one. It is built in modern Chinese style involving lots of windows with net curtains. The 40 rooms are decently comfortable and, via a connecting door, some of them can be turned into a suite with a very large desk in the sitting room, which could be a great aid to the working traveller. It appears all the Asian guests want rooms in the new building and the Europeans all want to live in the old one. Take your pick. And you may even get a spelled out rose petal welcome on your bed. At the south end of Inya Lake on Kabe Aye Pagoda Road stands the modern 366-room heavyweight, The Sedona Hotel, with its massive, stark white lobby and bright, comfortably functional rooms. 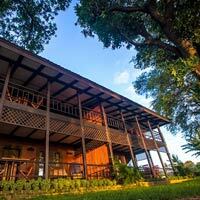 Sitting on eight acres of garden, the hotel is a decent bet for business travellers. It also doubles up as an excellent long-stay hotel with a serviced apartment residential feel. Rooms are smart, the decor pleasing, and long-stay guests have the added privilege of 10 percent off menus, 10 percent off business services, a well equipped kitchen (in apartments) and up to six pieces of laundry per day. The Sedona’s higher-floor rooms have a good view of the lake. There is a huge free-form swimming pool, a gym, massage services and a business centre. There is also an Italian restaurant, Chinese restaurant and swish drinking hole called the Ice Bar. In 2013, The Sedona began construction on a huge new hotel wing. Slated to open in 2016, the wing will boast 29 storeys and 420 new rooms, bringing the hotel’s room total to a gargantuan 786. Also located near Inya Lake on Kaba Aye Pagoda Road is MiCasa Hotel Apartments, a comfortable but basic hotel popular for its one- and two-bedroom apartment suites. Touches of Latin inspiration can be found throughout the property – from the warm, red details in the guest rooms to the Spanish-style Tapas Bistro and nightly live music at the Arena Lounge & Bar. A triple room here retails for an average US$111, which is a good deal. At the northern end of the lake, right on its shore, stands the Inya Lake Hotel (formerly Dusit Inya Lake), a brilliantly white 129-room property that was built by the Russians in 1962 and, miraculously, has somehow escaped its design pedigree. It does, however, feel oddly more like a country club than a hotel. All rooms, superior and deluxe, have deep balconies, and are furnished in the art-deco tinged ‘speed moderne’ style of the 1930s. Ask for a room in the West Wing. From there you get a mixed view of the 27 acres of gardens and the lake as well as an impressive sunset. Guests also have access to a pool, gym and tennis court, as well as a few dining options. Inya Lake can manage small corporate meetings as well as modest conferences but really prides itself on being a Yangon wedding host with extensive green lawns for outdoor banquets and events. This covers most of the bases on the Yangon business hotels front. For now, the establishments listed above remain the best addresses for suits in Yangon. In time, travellers to the city can expect a host of fresh options. In late 2015 a 366-room Novotel arrives near Inya Lake and in 2017, a 348-room Pan Pacific plans to do business across from Bogyoke Aung San Market in the city centre. Like other aspects of the city, Yangon’s bar and restaurant scene is growing and changing at an exciting pace, with a diverse array of new (and often-trendy) offerings enticing visitors and residents alike. There are now gastropubs, minimalist Japanese restaurants and bespoke cocktail bars that are more reminiscent of Manhattan speakeasies than a Myanmar drinking hole. A manager at Gekko, a hip Japanese fusion restaurant that serves excellent cocktails on 535 Merchant Street (tel: 386-986), said that in just a three-month period in 2015, he’d seen the opening of 10 chic new F&B establishments, quite a record for this sleepy enclave. The owner of Gekko, a British company called 57 Below, also runs two other popular restaurants in the city: Union Bar & Grill on 42 Strand Road (tel: 018-272) serving British pub grub and tending to be full to the brim on Friday and Saturday nights with a lively, late-night expat crowd – and Parami Pizza (tel: 667-449), a laid back pizzeria located on the corner of Malikha Street and Parami Road that arguably serves the best pie in town. An appetizer and main course at any of these three eateries will likely cost between US$20 and $35. It would be a great shame to go to Myanmar and not sample the local food. It is surprisingly varied and nuanced, not as spicy as Thai and not as heavy as Indian with dishes ranging from fresh and pickled salads, to aromatic curries. A good baptism would be a meal at Pandonmar Restaurant at 105-107 Kha Yay Pin street (tel: 538-895). Open from 11am to 11pm., it is a renovated colonial house with reproduction friezes of Bagan carvings and a trompe l’oeil masterpiece in the private room. Owner Sonny Aung Khin reduces the notorious levels of oil in the restaurant’s Burmese curries. “Oil level has been a status symbol,” he says. “It has become obsessive and puts off the tourists.” He creates wonderful salads and unusual dishes including one delicious offering made of balachaung, fried dried shrimp, garlic, onion and chilli (a purely “British Indian” dish, Khin says). Try butter fish, a Yangon favourite. A la carte dishes cost around Kt3,500, with set menus from Kt7,000. The Green Elephant Restaurant at 2 Aung Thu Kha St (tel: 661-887) is a steady favourite among visitors (the Green Elephant can also be found in Bagan and Mandalay). It serves a good selection of Burmese food, slightly modified for foreign palates. Dining is in a pleasant garden setting and it is open all day till 10pm. At the risk of ruining this place by recommending it too much, another good Burmese option is lunch at Aung Thuka, an eatery on a side street off Dhammazedi Road, opposite the Savoy Hotel. It’s an open-front rattle-bang restaurant with wooden furniture and Formica tops. Packed with lunching locals, the tables turn over quickly, but they won’t mind if you linger. Language is not a problem, just point at the line-up of curries in pots at the counter. Accessories like raw veggies, sauces and soup come automatically. Any driver is bound to know where it is. Your bill including, say, a bottle of Myanmar beer, will come to about Kt3,000 for two. If you have a hankering for a more ‘hipster’ take on Burmese cuisine, check out Rangoon Tea House on 77 Pansodan Road (tel: 224-534), a cute and modern establishment, which serves Burmese food with a slightly-Western twist. Try the delectable mohinga (a curry-based fish and noodle concoction), which is perhaps the closest thing Myanmar has to a national dish, and the fabulous tea leaf salad. Mains range from Kt3,000 to Kt9,000. Chinese food in Myanmar is an ancient input. In Yangon it is endemic. It is cooked by local chefs and can have definite Burmese twists. Chinese restaurants tend to be located in the ‘Chinatown’ west of the central district from 20th Street down. Western Park (tel: 398-715) located at 184-6 45th Street serves fabulous Peking duck, and is a very local experience. It’s always busy and service is fast. The Royal Garden (tel: 297-716), overlooking Kandawgyi Lake and serving Singapore-inspired cuisine, is reckoned by some to be the best Chinese eatery in town. Hot on its heels, though, is Singapore Kitchen at 330 Ahlone Road (tel: 016-788), which is acclaimed for its seafood and crispy duck. Here a meal with a couple of beers comes to Kt3,000. For a Western option, try Hummingbird on 76 Phone Gyi Street (tel: 292-074), an intimate, three-storey Latin American restaurant and cocktail bar that opened in 2015 to rave reviews. The bespoke cocktails are lip-smackingly good, and the fish dishes – including a sumptuous seared salmon appetiser and a citrusy fresh ceviche – are worth coming back for. Also, here’s one place in Yangon where a medium-rare rib eye will actually arrive medium rare. A meal here will set you back US$30 or more. That prince of western restaurants, The Strand Grill, is also the priciest, of course. A dinner probably couldn’t be got away with for much under US$50 – bereft, that is, of a bottle from its fine cellar. Lobster thermidor is a signature dish, but the deer and lamb are memorable. They have at times a delightful starter: a ball of foie gras and truffles deep-fried in a bread coating and called “the doughnut.” It’s to die for. Too many of them and you probably will. La belle France reigns in Yangon dining rooms. Mandalay (tel: 229-860) at The Governor’s Residence mixes outstanding French with Burmese cuisine, and prices start at about US$10 for a main course. Le Planteur restaurant and bar on 80 University Avenue (tel: 541-230), which has been run by Michelin-star chef Felix Eppisser and his wife Lucia since 2011, serves French-Swiss food in a garden. The menu is a la carte or a set BBQ dinner. The Agnes at the Kandawgyi Palace Hotel is another pricey, but tasty, option. Furnished with a Louis Quinze flourish, the lakeside French restaurant serves up a masterful steak Diane, and other tasty meat and fish dishes. Chatrium is another hotel with several variable outlets like the Kohaku Japanese restaurant and the cosy Club Rizzoli. For breakfast or a sandwich, try Acacia Tea Salon, a pretty restaurant on 52 Saya San Road (tel: 554-739) that serves mouthwatering cinnamon pancake and fluffy omelettes; Bar Boon, a trendy cafe located in the FMI Centre next to Bogyoke Aung San Market (tel: 321-058) where you’ll find tasty croissants and sandwiches; or Yangon Bakehouse, a “social business” located on the ground floor of Pearl Condo (tel: 117-947) that runs apprenticeship programmes to empower local women. There, you’ll find yummy sandwiches and salads, decent quiches, and nutritious and delicious homemade yogurts. For Yangon shopping, look at precious stones, pearls, silver, handicrafts and lacquer ware. There are some fine specialist shops that hotel concierges will guide you to. The Strand has a printed recommendation list. To just plunge in, go to the Bogyoke Aung San Market (once known as Scott Market). It is a huge closed market surrounded by a cloister of small, mostly trendy shops selling fashion accessories. In the market proper, stalls sell stones, jewellery, handicrafts, ropes of pearls and antiques, some for real and some not quite. The place is wide, clean, cool and unhurried. Shopping here is all about semi-precious stones, rubies (for which the country is famed – the ‘pigeon blood’ being the top cut), fabric, and gewgaws or perhaps larger artefacts. This is not a Mall Mecca so leave those Louis Vuittons behind, toss on a large straw hat, and dumb down for a cooling trawl of small alleys and side streets. It exists, even for foreigners, be sure of that. Mostly you’ll find it in hotels from about 6pm to 1am. The PARKROYAL, for instance, has The Music Club, a place of some revelation. They say it is popular with diplomats. It is a big square bar with a Filipino band. There are an inordinate number of beautifully turned-out local women wandering around in urgent need of a drink. The Ice Bar at the Sedona Hotel, which also has a live band, is another decent option. Open every day till “late”, the 50th Street Bar and Grill on 9-13 50th Street (tel: 397-060) is something of a Yangon institution. Boasting an impressive colonial facade, this is a big, well laid-out pub with its wall scrubbed down to the brick, a mixed Western and local clientele and live music at the weekends. There’s also Union Bar and Grill, the cool new kid on the block, which gets very raucous on weekends. Taking a different tack altogether is BME 2, an independent outfit watched over by the biggest Burmese lads in suits you’ve ever seen. It stands in a large lot next to the Summit Parkview Hotel at 350 Ahlone Road. There is a bar, attentive waiters, a big disco dance floor and of all things in Myanmar, a local girl rock band. For the most up-to-date information about the Yangon nightlife scene, we’d recommend asking your hotel concierge. From Yangon, the standard travel pattern is a flight to Mandalay (the train can take up to 18 hours and so will a car), a boat to Bagan and a flight to Inle Lake (not to be confused with Inya Lake, which is located in Yangon). Visitors spend between five and 10 days doing this. To do justice to Bagan, home to more than 3,000 temples and Myanmar’s answer to Cambodia’s Angkor Wat, you need a minimum of two days. To relax in a hotel on stilts on the lake and go back in time a bit, you need at least another two or three days. So, if you’ve only got four to five days, perhaps you might drop Mandalay. The city itself is worth half a day at best. The main historical point of interest is the deserted ancient capital around it. 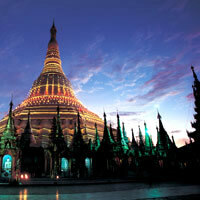 A good travel agent in Yangon can arrange an itinerary for you within hours. 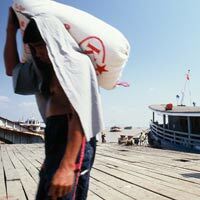 If you are outside Myanmar, it takes a little longer but they can also arrange, through faxes, a visa on arrival. Top-end hotels in Mandalay are the Mandalay Hill Resort Hotel at the foot of Mandalay Hill and the fully serviced Sedona Hotel. The Sedona Mandalay offers smart rooms with French bay windows, large LCD televisions, settee, pastel tones, and purple flashes of silk cushions. In Bagan, you could stay at the beautifully landscaped Hotel Bagan Thande or the Bagan Thiripyitsaya Sanctuary Resort (formerly Bagan Thiripyitsaya Sakura Hotel), which has rooms and bungalows, a friendly old world feel and a huge sun-drenched swimming pool. There are a number of smaller boutique hotels in Bagan that are worth considering as well, including the idyllic Blue Bird Hotel. This is a brief catch-all Yangon fun guide for families and business travellers. Given the rate of change in Yangon, it is very likely that developments will overtake our reporting rapidly. The widely used and unofficial exchange rate is roughly US$1 = 1,000 kyat. Touts offer better rates but tend to short-change. Some hotels may offer large discounts of 50 percent or more, especially during the rainy off-season (June-September). 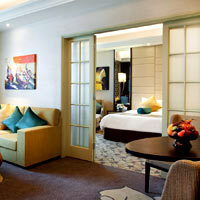 Even hotels like the Sule Shangri-La and The Strand offer significant discounts at this time. Check hotels’ websites for the most up-to-date information and room rates. Room rates for a Standard at a four-star hotel is US$150-$250 (low season this will dip to US$120-$200). At a 5-star hotel, it’s closer to $250-$450. Some hotels cleverly refer to the 'low' rainy season as the 'green season' with advertised rates at 30 percent off. Diethelm Travel. 412 Merchant Street (corner of 45th Street), Yangon. Tel: [95-1] 861-045-860, fax: 861-0457, (e-mail: leisure@mm.diethelmtravel.com or www.diethelmtravel.com/Myanmar). Tour Mandalay. Room 02-03, 2nd floor, Pearl Condominium, 1 Pearl Centre Kabu Aye Pagoda Road, Yangon. Tel. [95-1] 545-850, (e-mail: info@tourmandalay.travel or www.tourmandalay.travel/). Columbus Travel & Tours. 586 Strand Road, Yangon. 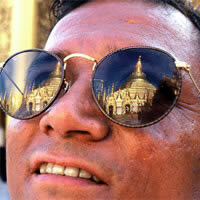 Tel: [95-1] 229-245, (e-mail: tours@columbus.com.mm or www.travelmyanmar.com). EXO Travel. No.147, Shwe Gone Daing Road, Yangon. Tel: [95-1] 860-4933, (e-mail: myanmar@exotravel.com or www.exotravel.com/exotravel/travelagency/myanmar/). Belmond Governor’s Residence. Tel: [95-1] 229-860, fax: 228-260, (e-mail: reservations.tgr@belmond.com or www.belmond.com/governors-residence-yangon). Chatrium Hotel Royal Lake Yangon (formerly Hotel Nikko Royal Lake). Tel: [95-1] 544-500, fax: 544-400, (e-mail: info.chry@chatrium.com or www.chatrium.com/). Hotel Novotel Yangon Max. Tel: [95-1] 305-858, fax: 305-868, (e-mail: H9045-RE@accor.com or http://www.novotel.com/gb/hotel-9045). Inya Lake Hotel. Tel: [95-1] 966-2866, fax: 966-5537, (e-mail: reservation@inyalakehotel.com or www.inyalakehotel.com/). Kandawgyi Palace Hotel. 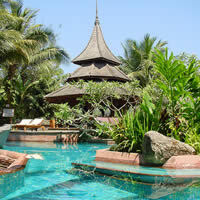 Tel: [95-1] 249-255, fax: - 256-184, (e-mail: reservation@kandawgyipalace-hotel.com or www.kandawgyipalace-hotel.com). MiCasa Hotel Apartments. Tel: [95-1] 650-933, fax: 650-960, (e-mail: bc.micasa@mptmail.net.mm or www.myanmar.micasahotel.com). Mya Yiek Nyo Royal Hotel . Tel: [95-1] 548-310/17, fax: 548-318/19, (e-mail: info@myayeiknyoroyalhotel.com or www.myayeiknyoroyalhotel.com/). PARKROYAL Yangon. Tel: [95-1] 250-388, fax: 252-478, (e-mail: enquiry.prygn@parkroyalhotels.com or www.parkroyalhotels.com/). Savoy Hotel. 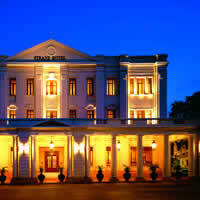 Tel: [95-1] 526-289, fax: 524-891, (e-mail: reservation@savoy-myanmar.com or www.savoy-myanmar.com). Sedona Hotel Yangon. Tel: [95-1] 860-5377, fax: 605-366, (e-mail: rsv@sedona.com.mm or http://www.sedonahotels.com). Sule Shangri-La, Yangon. Tel: [95-1] 242-828, fax: 242-800, (e-mail: ssyn@shangri-la.com or http://www.shangri-la.com/yangon/suleshangrila/). The Loft. Tel: [95-1] 372-299, (e-mail: theloftyangon@gmail.com or www.theloftyangon.com). The Strand. Tel: [95-1] 243-377, fax: 243-393, (e-mail: reservations@hotelthestrand.com or www.hotelthestrand.com). Mandalay Hill Resort Hotel. Tel: [95-2] 35-638, fax: 35-639, (e-mail: mandalayhillresort1996@gmail.com or www.mandalayhillresorthotel.com). Sedona Hotel Mandalay. Tel: [95-2] 236-488, fax: 236-499, (e-mail: bc.shm@sedona.com.mm or http://www.sedonahotels.com). Hotel Bagan Thande (formerly The Bagan Hotel). Tel: [95-1] 546-225, fax: 546-227, (e-mail: reservation@baganthandehotelgroup.com or www.baganthandehotel.net/). Bagan Thiripyitsaya Sanctuary Resort (formerly Bagan Thiripyitsaya Sakura Hotel). Tel: [95-1] 255-333, fax: 255-258, (e-mail: thiri@myanmar.com.mm or www.thiripyitsaya-resort.com). Blue Bird Hotel. Tel: [95-61] 654-40, fax: [95-61] 65-051 (e-mail: hotelbluebirdbagan@gmail.com or http://bluebirdhotelbagan.com/).